Staffordshire Police are continuing to investigate the crash. The British rapper, real name Blaine Cameron Johnson, died on Saturday morning in a car crash in England on his way to a performance at Keele University. He was 28. Staffordshire Police confirmed Cadet's death in a statement on Facebook, revealing that he was a passenger in a Toyota Prius taxi when the vehicle collided with a Vauxhall Combo van at around 1:30 a.m. local time in the village of Betley, roughly 150 miles northwest of London. Cadet was pronounced dead at the scene. Officers from the Staffordshire and West Midlands Serious Collision Investigation Unit are continuing to investigate the incident, asking citizens with any dash cam footage of the collision to reach out. The up-and-coming rapper's family confirmed the news on his Instagram, as fans and friends reacted to the news on social media. Cadet's cousin, Krept (now of rap duo Krept and Konan), wrote: "My life will never be the same again. I love you and will forever miss you. I cant believe it. I am heartbroken. Rest in peace cuz. You finally started getting the recognition you deserved. I'm so proud of you. My left lung. I'm devastated and broken right now." "All the love you are getting I can honestly say you are not underrated anymore, cuz," Krept added. 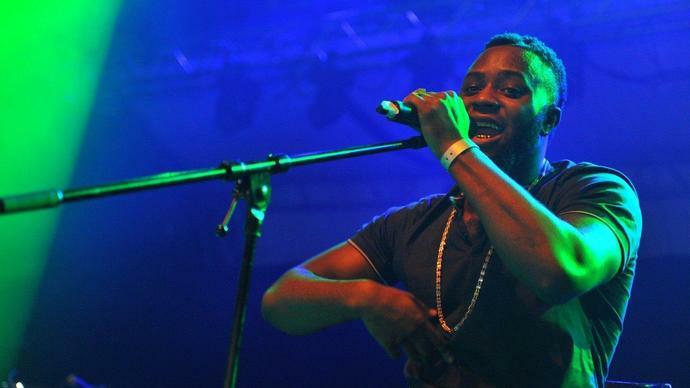 Cadet began his music career alongside Krept, Konan and Redz as part of the Gipset grew. They gained a following on social media in the late 2000s, before going their separate ways. In 2015, Cadet established himself as a solo rapper, with personal songs touching on his Muslim faith. He released his first album, The Commitment, in 2016, and his second, The Commitment 2, in 2017. He dropped his most recent single, "Advice," last October.